1 - 3 years experience. Send CV to careers@supermartng.com on or before Friday using code "SA/LA 001"
Bachelor’s Degree or a suitable Postgraduate PM Qualification in Computer Science/Business Studies with a Formal internationally recognised/certified Project Management qualification. Candidate must have experience of managing project budgets and accountability for program P&L. A record of successful completion of a number of significant projects covering each part of the project life cycle. Thorough understanding of the life-cycle of multi-phase, multi-tier, multi-party project plans with mixed discipline project teams comprised of customer personnel, 3rd Party personnel and Company personnel. A solid project management background with extensive experience with a proven and successful in-depth experience of using standard program/project management methodologies (PMP, Prince2) and software engineering methodologies complying with international quality standards such as ISO or CMM. Candidate must have experience of handling multi-supplier engagements with strong skills in contract/scope management. Interested and qualified candidates should send their updated CVs in MS Word format and Cover Letters to: contact@gvapartners.com and reference recruitment@gvapartners.com with the job role as the subject of the e-mail. Application Deadline 14th October, 2018. Must have good experience in computer skills and graphics design. Age: 30 – 45 years. B.Sc or HND in relevant discipline, and Certificates in skilled areas. At least 5 years experience in similar field. Ability to work independently and collaborative. B.Sc or HND in relevant field. Upward of 5-year’s experience on the job. Minimum 2 years as a Restaurant Manager. B.Sc or HND in relevant field. Upward of 5-years’ experience on the job. Can provide users-sourced feedback to influence product development direction. Documents Include: CV or Resume. An outline of how you intend to get your first 10 Customers if you are selected – not more than 5 lines. Application Deadline 19th October, 2018. High level of emotional intelligence. 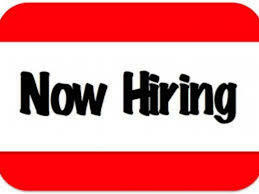 Minimum of 2 – 3 years related sales/marketing experience. Ideal candidates should be 26 years and above. This is not a tenured contract; the hired candidates have the opportunity to work with the organization as long as they may wish. Minimum of first degree in Insurance or other relevant fields. Strong client relationship management and development aptitude. Proficient in English communication, Prospecting, Analysis skill. Must be self-motivated, ready to achieve, hungry to change status and build own network in selling insurance to family, contacts and network. Proven ability to work independently. Interested and qualified candidates should send their CVs to: outsourcing@stresert.com using “PSA 300” as the subject of maill. Application Deadline 16th October, 2018. Note: Qualified candidates will be contacted for interviews immediately. Up the ladder is strictly based on performance. Bachelor’s Degree in any relevant field, a master’s in Digital media or Business administration with focus on advertising is a plus. Able to make decisions and provide team direction quickly to maintain workflow. Interested and qualified candidates should send their CVs and portfolio or reel (i.e. compilation of creative work) to: recruitments@ccsimpact.org Applications must indicate Position & Reference Code on the Email Subject line. Application Deadline 21st October, 2018. Note: Applications received after the closing date above will not be considered. Self-motivated individual with effective organisational skills to work pro-actively under own initiative to ensure that deadlines are met and queries promptly resolved. Ability to undertake multiple tasks at a given time without losing focus and not compromise qualitative standards and output. Possess exceptional analytical reasoning skills to think problems thoroughly and generate solutions. Must be detail focused and goal oriented. Must possess good knowledge and prior experience of using Microsoft excel and accounting software (i.e. Quickbooks). Possess a minimum of two (2) years of experience in similar role. Interested and qualified candidates should send their Applications and CVs to: recruitment@wforoedl.com with “Junior Accounts and Treasury Officer” as the subject of the mail. Application Deadline 16th October, 2018. Must be proficient in English and may have tutored English irespective of your discipline. Interest in and/or commitment to development via education, health and other mission sectors. Passionate about making a difference in the education and health sector and will be able to commit and adapt to an organisation which is value driven. The willingness to work in a multidisciplinary team and with flexibility. Friendly outgoing manner with ability to empathise with Zinchi’s wide range of clients. Collaborative and inclusive style of working. Excellent communication skills, both orally, particularly on the telephone, and in writing and confidence liaising and communicating with colleagues, client agencies and individuals. Ability to convey and receive complex and sensitive information. Excellent administration and organisation skills. Ability to cope with normal work pressures. Willingness to take ownership and accountability. Willingness to develop new skills and ideas and promote these in the working environment. Flexibility in thinking, approaching problems and managing workloads, understanding the pressures of both colleagues and clients. Experience in development of marketing materials and using social media for marketing purposes. Experience in building client relationships. Demonstrable experience in an administrative role. Good command of Microsoft Office software. Quick to learn and capable of working both independently and as part of a multidisciplinary team. Ability to work to deadlines and multi-task under pressure. Excellent creative writing and numeracy skills. Methodical and organised approach to work and commitment to accuracy. Proactive and capable of working under own initiative and pressure. Experience in writing proposals, management reports and presentations. Interested and qualified candidates should send their CVs to: ask@zinchi.org. Application Deadline 18th October, 2018. Candidate should be a legal practitioner with 3yrs experience in same role. Interested and qualified candidates should send their CVs and Applications to: Careers@louisvalentino.net. Application Deadline 14th October, 2018. Perform other duties assigned by Management. Supervise catering operations to assure quality services and good qualities of food and services are provided at all times. Provide daily sales reports and ensure proper record keeping, high level of accountability and integrity. Performs other duties assigned by Management. Rotate stock through the warehouse with maximum efficiency. Proven ability to weave brands into popular culture. Familiarity with developing integrated campaigns that include paid, earned, social, and owned media for brands. Interested and qualified candidates should submit their CVs with current contact information to: recruitment@footprint-ngr.com using the “Job Title” as the subject of the maill. Application Deadline 20th October, 2018. Relevant Experience to the role. Highly skilled with MS Word and Excel packages. Interested and qualified candidates should send their Resume to: jobonline@janchine.com Application Deadline 20th October, 2018. 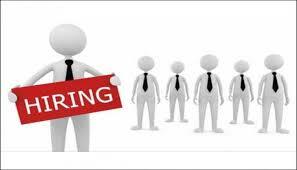 Minimum of 2 years’ experience as a sales audit Accountant in a retail/re-distribution company. Good communication skills in both English and Hausa. Proficient in Microsoft Office Suite; strong Excel, general computer skills and Quick Books software. Interested and qualified candidates should send their CVs to: careers@drivetoretailltd.com Please indicate the position you are applying for in the subject heading. Application Deadline 18th October, 2018. Interested and qualified candidates should send their CVs to: info@ibfcalliance.com with the job title as the subject. Must have flair for financial technology with demonstrable ability to learn fast. First degree (BSc. /HND) in Marketing or Mass Communication from a reputable institution. Relevant degree/certification is an added advantage. First Degree (B.Sc. /HND) in Marketing or Mass Communication from a reputable institution. A minimum of 5 years progressive work experience in Business to-Business & Business-to-Consumer Sales environment. Experience in the IT industry, especially in the delivery of IT solutions. First Degree in any discipline. Additional qualification such as a Master’s degree is a plus. Excellent interpersonal skills and ability to build strong relationships. Strong personal network within the industry. Highly driven and passionate about sales. Professional sales training would be an advantage but not essential. Strong leadership & team building skills. Interested and qualified candidates should send their CV’s urgently to: careers@conceptgroup-ng.com with the Job Role as the email subject.Application Deadline 26th October, 2018. Presentable with good sense of self. Interested and qualified candidates should send their CVs urgently to: careers@conceptgroup-ng.com with the Job Role as the email subject.Application Deadline 26th October, 2018. Interested and qualified candidates should send their CVs to: hr@connectrail.net Using the “Job Title” as the subject of the mail. Application Deadline 19th October, 2018. Note: Only shortlisted candidates will be contacted. High proficiency in computer applications (Word, Powerpoint, Excel, etc). Good knowledge of Accounting will be an added advantage. Must be highly organized and detail oriented. Must be able to multitask and prioritize using good time management. Excellent verbal and written communication skills are also preferred. This position involes a lot of ground work, and moving around. A master's degree or its equivalent will be an added advantage. Professionalism in Customer Service Management. Bachelor's degree from an accredited University. A master's degree or its equivalent will be an added advantage. Professional certification(s) is necessary to demonstrate proficiency in the functional objectives of the role. Hence, certifications such as MCSA, MCSE, MCP, will be an added advantage. 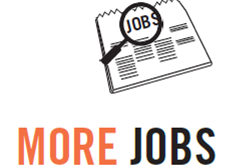 25 New Vacancies Jobs in Abuja, Anambra, Bauchi, Benue, Enugu, Imo, Lagos... this week!